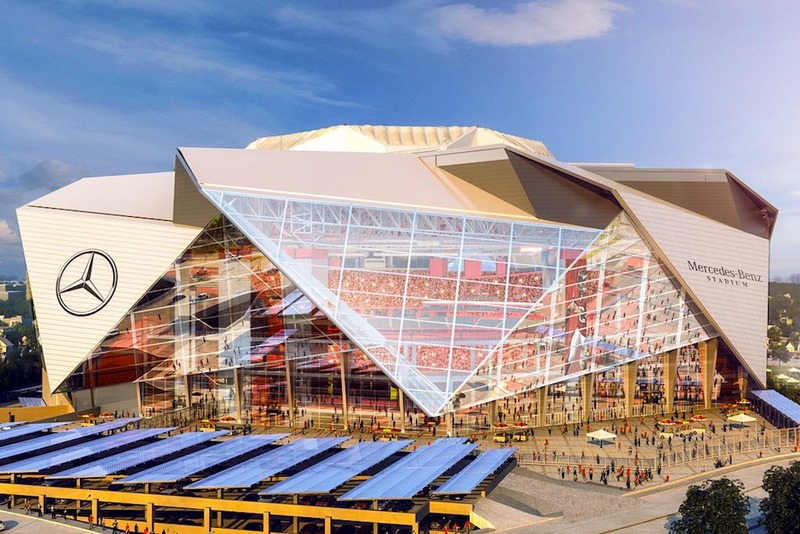 The $1.6 billion, state of the art Mercedes Benz Stadium is the new home of the Atlanta Falcons of the National Football League and the Atlanta United Football Club of Major League Soccer. Designed with a capacity of 71,000 spectators and an 8-petal retractable roof, it is one of the most iconic sports facilities in the world. Site work included the abandonment and relocation of major roads and infrastructure and the demolition of the Georgia Dome, which was replaced by the Home Depot Backyard tailgating lot. 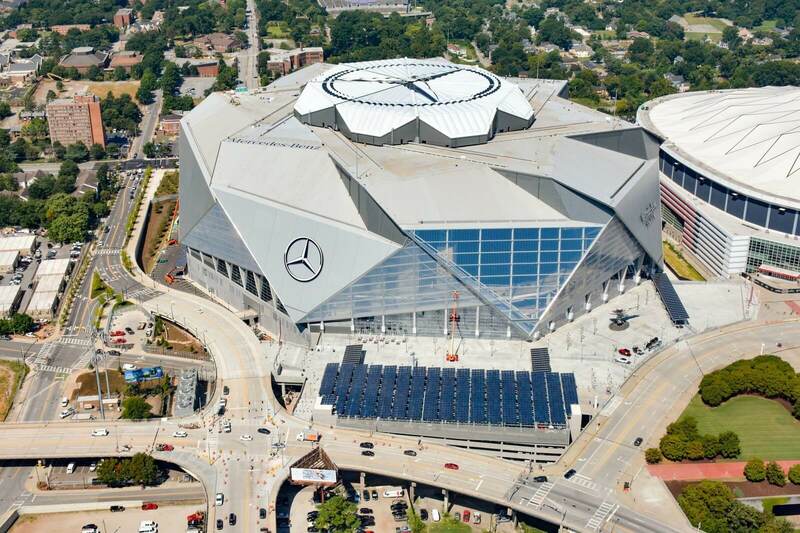 Mercedes Benz Stadium is a LEED Platinum Certified building. Atlanta was awarded a new expansion Major League Soccer team. 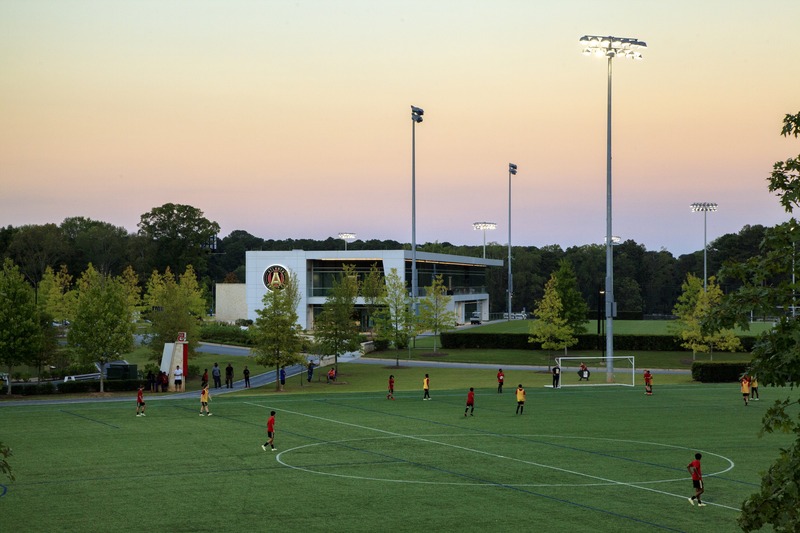 Named the Atlanta United Football Club, a new 30,000 square foot headquarters and training center was constructed for them along with three artificial and three natural turf soccer fields, a 173-car parking lot, pavilion, and maintenance facility on a 32-acre site. Bobby Jones Golf Course is an existing urban, 18 hole golf course that has been completely renovated into a 9-hole reversible course designed by Bob Cupp that includes a two ended driving range with a public instructional building and practice facility for Georgia State University and a 9-hole “wee links” for junior and adaptive golfers. 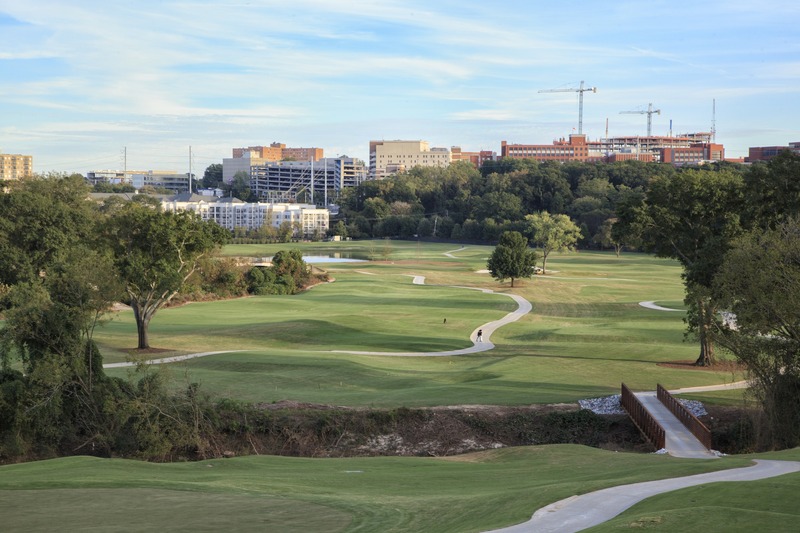 The project also included a 2-level, 288 space parking deck with 6 tennis courts on the upper level and 6 surface tennis courts, the Golf House that includes the Golf Pro Shop, grill, Georgia Hall of Fame and offices for the Georgia State Golf Association, and the Georgia section of the PGA. The Georgia Institute of Technology undertook a $45 million renovation of their basketball facility that included reconstruction of the seating bowl, the addition of an upper level balcony and club seating, and the expansion of the concourse and plaza area. The site was completely renovated to provide additional hardscape improvements, reconfigured parking, television truck staging and green infrastructure. 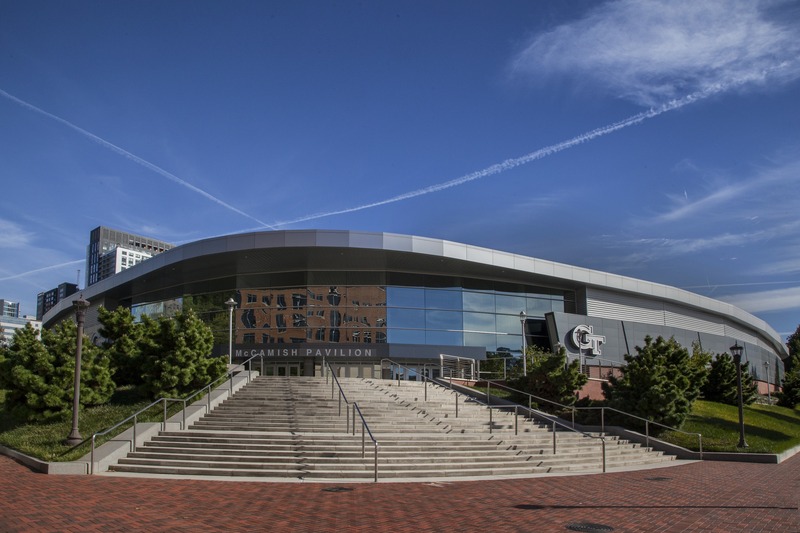 McCamish Pavilion is a LEED Gold Certified building.